It is not enough to have a nice looking currency in today’s world. The play of economic concepts both on the local and international scenes lead to strong or weak currencies and some African currencies have certainly shone in 2017. 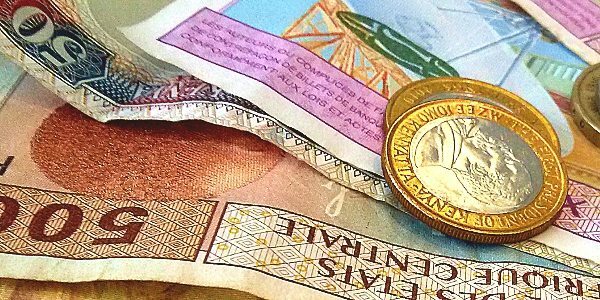 In this article, we consider the strongest African currencies in 2017. In a continent where we have a country like Zimbabwe that is currently devoid of a real currency, whose citizens have to rely on either the United States Dollar or the South African Rand and Zambian Kwacha, depending on your exact location in the country, to go about their daily opportunities. Despite this, we have African currencies that manage to pull their own weight alongside some of the world’s strongest currencies. The strength of a currency is determined by a number of factors that include; its supply and demand, market forces within the country, inflation and, of course, the foreign exchange market. The United States dollar is considered one of the strongest currencies in the world and is, therefore, an appropriate benchmark with which to measure the strength of some African currencies. With the factors listed above, one surprising currency to make this list is the Libyan dinar. It did so despite continued tensions in the region in the last half-decade. Despite a rough year packed by scandals in leadership and the constant reshuffle of the country’s finance ministers, which have directly and indirectly affected the Rand, South Africa’s official currency is still pretty strong. The South African rand was introduced to replace the South African pound in the then Union of South Africa in 1961, three months before the Republic of South Africa was established. Currently, the Rand exchanges at 11.60 to $1. This places the country as one of Africa’s strongest economies. Botswana’s official currency is the pula. It was introduced to replace the South African Rand in Botswana in 1976. The Pula currently exchanges at 9.48 to $1. The strong currency is just one more way that Botswana continues to shine on the African continent. It is already regarded as a country with one of the highest Human Development Indexes (HDI) on the continent and unlike most African countries with only one source of government revenue, mining, cattle ranching, and the service sector all contribute to the government’s coffers. The Moroccan Dirham is the currency of Morocco. Its history comes from the Greek-speaking Byzantine Empire which controlled the Levant and traded with Arabia, circulating a coin which bared the same name in pre-Islamic times. The currency name was later adopted by the Arab world. The Moroccan Dirham currently exchanges at 9.21 to $1. Morocco focuses on tourism, manufacturing, and agriculture, which has played a key role in strengthening its currency’s value. The official currency of Zambia is known as kwacha. It was introduced in 1966 to replace the Zambian pound. The Zambian Kwacha currently exchanges at 9.80 to $1, making it a rather valuable African currency. Zambia’s economy is mainly agrarian with a little extra revenue streaming in from its tourism sector. One of the shocking inclusions on this list is the Sudanese Pounds. Surprising, because a country that has suffered through decades of civil war still manages to keep its currency value. The country does this through a series of re-evaluations. The most recent of these re-evaluations occurred in 2011 and $1 currently exchanges for 18.50 Sudanese pounds despite crude oil exports remaining the major source of government revenue. The only country from West Africa that managed to make it to this list of top 7 strongest African currencies is Ghana. With 4.46 Ghana cedis exchanging for $1, it is the second most valuable currency in Africa. Ghana is still considered one of the strongest democracies in Africa and is certainly managing its economy well. The Libyan dinar is by all accounts still the strongest currency in Africa based on its exchange rate to the US dollar and its purchasing power. One US dollar currently exchanges for only about 1.34 Libyan dinars. Analysts say that the currency has been helped by Libya’s extensive oil reserves but also because the country plays a strategic role as a gateway for African migrants hoping to enter Europe.